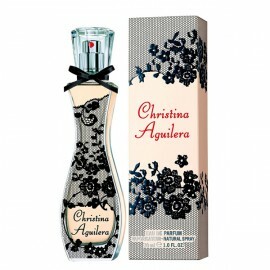 Christina Aguilera 75ml. Eau De Parfum - Highlights and glorifies femininity. Famous and well-known pop singer put into this floral-fruity aromas of your favorite ingredients, which created its own sweet portrait. Interesting bottle is inspired by the seductive curves of the female body wrapped in s..
Christina Aguilera Unforgettable 75ml. Eau De Parfum is fruity elixir with expressive intensity. Modern and fresh fragrance for ladies who want in any company stand out enough. Unforgettable combination of selected ingredients with which you feel young and playful. Christina Aguilera Unforgettable i..